Swarm Blog: Feeling Lucky? Check out Hidden Treasure Slots! Hidden Treasure Slots by Java Joe Games enables players to play slots like a pro and have fun making a ton of loot! 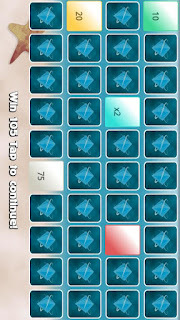 In this slot machine game for Android you can to spin to win with free plays, a bonus round, and upbeat sound effects. All of these features make the gameplay experience worth while. 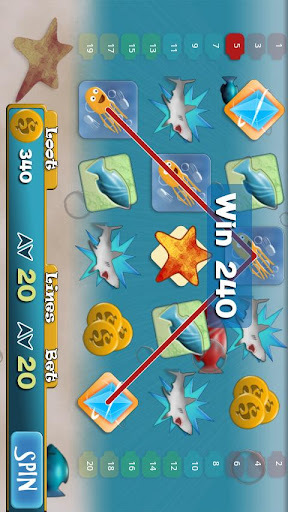 If you happen to get lucky and turn up 3 or more fish symbols, you'll get some free plays. You can also get lucky by revealing 3 or more treasure chests. Treasure chests will earn you a bonus round and an extra shot at even more loot! In the bonus round you get to flip cards over to rack up as much extra money as you can. Multiply your bonus winnings with 3 like multiplier cards. 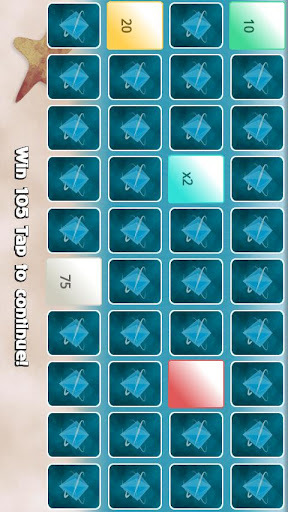 In this game you have a chance to flip over ten cards however if you pick a red card the bonus game is over. Choosing 3 like amounts will end the bonus as well, so choose carefully! Hidden Treasure Slots comes in two different flavors, a lite and a full version. The full paid version removes advertisements, offers higher betting limits, and saves scores between plays. Both versions, however, are Swarm-enabled which means players can enjoy great social features such as global leaderboards and achievements. So what are you waiting for? 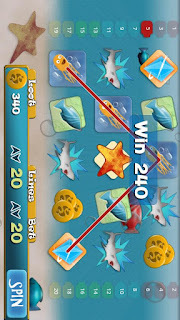 Enjoy the underwater adventure and spin your reels off! Head over to Google Play and download Hidden Treasure Slots.